I don’t know about this one, Free Beacon. 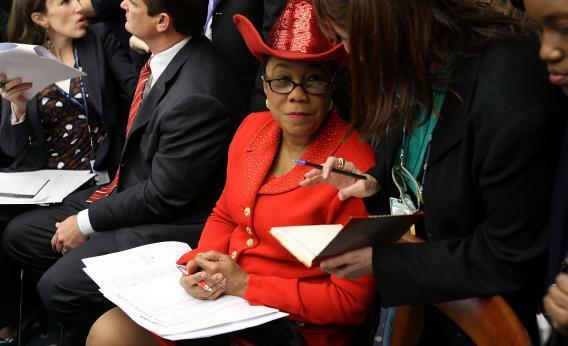 The story is that Rep. Frederica Wilson of Florida “voted for the self-defense law [Stand Your Ground] when she was a state senator in 2005.” What a hypocrite? Except when we read on, we learn that she’s not shredding the law at all. Wilson has made several appearances on MSNBC and other news shows denouncing the shooting; however, she has tiptoed around the statute in question. That’s right: She voted for the bill and now wants to tweak it. That’s… not very hypocritical! The static here is between Democrats who actually have to win elections in Florida and activist groups that want to channel the anger over the Martin case. In an earlier piece about post-Trayvon politics, I noticed that the Democrats with constituencies close to Sanford were not actually calling for Stand Your Ground to be pulled down. The candidates for state’s attorney, a partisan elected office, basically agreed that the original law went too far and it needed to be looked at, but that it answered a real legal problem.